The prayers and images in this book offer an imaginative way to mark Easter, expressing thanksgiving and praise and celebrating God's love and life-giving power. Short and simple, they reflect on the truths at heart of this age-old season. and through dying our death you brought us life. Little Book Of Easter Prayers by Nick Fawcett is published by Kevin Mayhew and is our 3725th best seller. 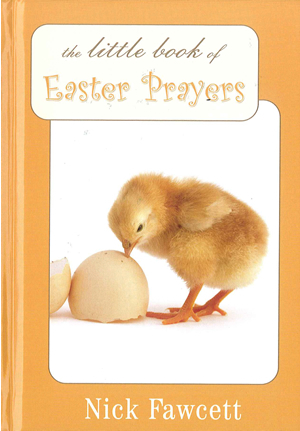 The ISBN for Little Book Of Easter Prayers is 9781848670204. Be the first to review Little Book Of Easter Prayers! Got a question? No problem! Just click here to ask us about Little Book Of Easter Prayers. Would this be suitable for parents to use with pre school children? A:This collection contains prayers of a reflective nature for adults; as such, its suitability for children of any age may be limited.